Things are heating up in college football right now. The college football picks’ battle is also heating up here at Slant Sports, as Nick Flaherty and I are ready to pick this week’s games. This time around, we have four ranked versus ranked matchups and two classic Big 12 rivalry games ahead of us. This is my favorite game for the weekend. Two Big 10 rivals battling it out at Michigan State. The Buckeyes have been struggling more than expected lately, including a loss at Purdue a couple of weeks ago. Now they’re on the road against another pretty tough opponent led by QB Brian Lewerke. But the Spartans’ real strength is on defense. They haven’t allowed opposing teams to run the football against them and I don’t expect that to change this Saturday. 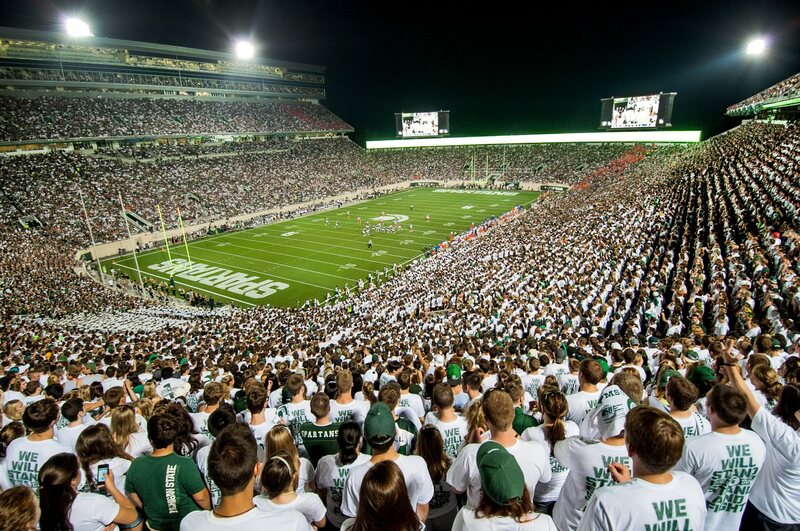 Head Coach Mark Dantonio has been great throughout his career as a home underdog. I have Sparty surprising the nation on this one. All the “Alabama hasn’t played anyone” critiques can be quiet after the Crimson Tide steam rolled through a LSU team that was ranked as the third best team in college football. Now they have another considerable opponent ahead of them as QB Nick Fitzgerald and the Bulldogs arrive in Tuscaloosa today. Tua Tagovailoa is the real deal but this Mississippi State defense is no joke at all. However, it’s impossible to say the Crimson Tide will lose any football game at the moment. The Bulldogs might be able to keep it close, but there’s no way Alabama loses this game. As a Clemson Tigers’ fan myself, I’m a bit scared with this road test Clemson is about to face. Despite the Trevor Lawrence-led offense has been destroying opponents left and right, this Boston College team might prove to be a real threat for their undefeated ACC rivals. Clemson’s widely recognized defensive line will face its tougher test yet. Boston College quietly has one of the best offensive lines in college football and playing at home, they’ll be able to keep this one close. However, the Tigers will prove to be too much of a team for BC. Georgia is making things right after two consecutive wins against strong SEC opponents. Next up are the Auburn Eagles, who have failed to meet championship expectations this season. Auburn is coming off from a huge down-to-the-wire win last week. Their defense is still good and despite offensive struggles, they might find a way to keep things close in this rivalry game. Georgia is hitting on all cylinders right now and Jake Fromm is finally settling in. I got the home team on this one. They’re simply a better team.